The trumpet or Cornet are the smallest members of this family and so make the highest sounds. Pupils may start on these instruments from year 3 or 4 but they need to be big enough to manage the instrument. 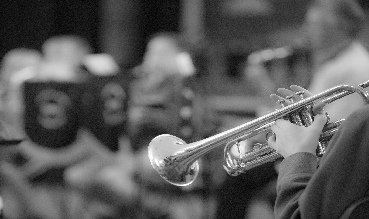 Sometimes a tutor may advise a move to a different instrument in the family which may suit the pupil better after taking aptitude, mouth shape and size of the player into account. The Tuba is the lowest sounding instrument of this group and the trombone is the only one which uses a slide to change the notes. The other instruments change notes by pressing down buttons or "valves".